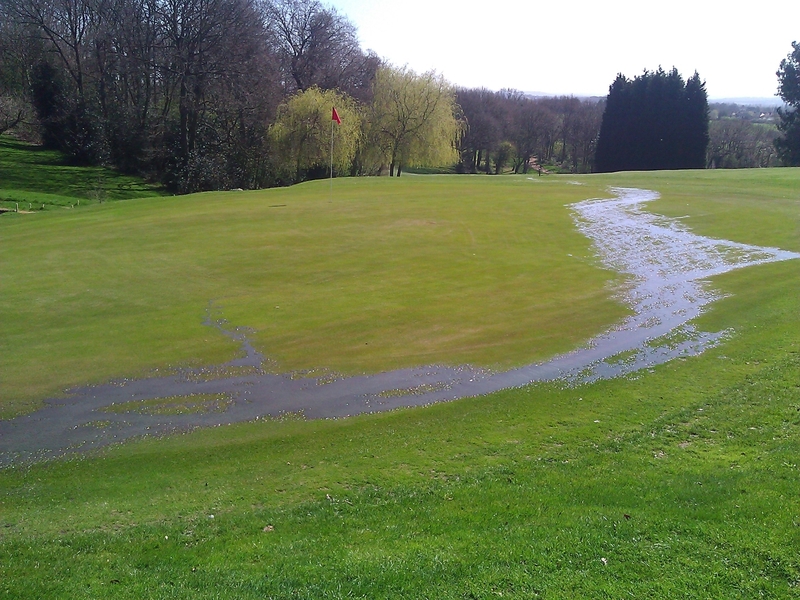 Its always a difficult time of year for us greenkeepers as we try to finish off winter projects and juggle course presentation as the grass starts to grow. Over the next 2 weeks ditches need strimming, tee banks need flymoing and bunkers need edging along with the 13th steps need finishing. 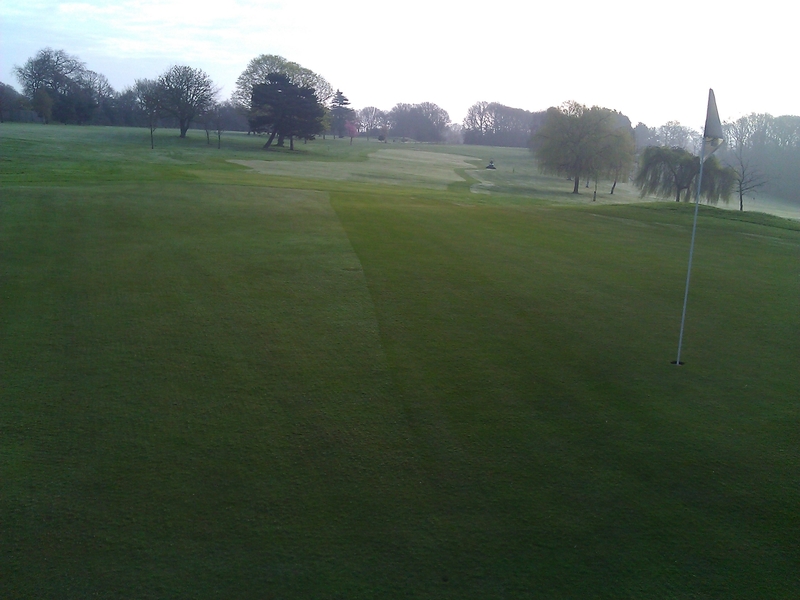 We are also renovating wear and tear areas around the course by verti-draining, needle tining, overseeding, topdressed and fertilized with a slow release fertiliser (30.8.8) to ensure the course remains open as much as possible during the winter months. 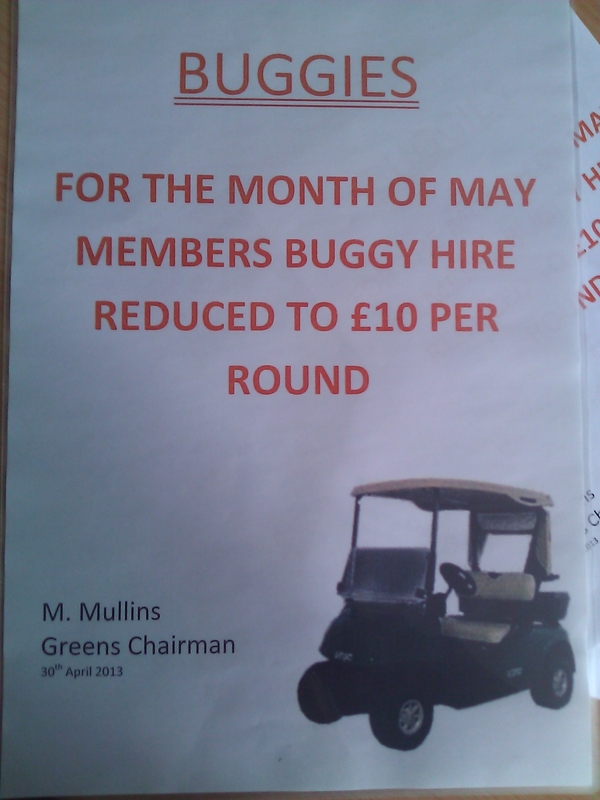 We need on average 450hrs a week to ensure the course is in perfect condition this time of year but unfortunately our budget can only afford 241hrs including weekends. The rough takes the most time with 1 person taking 22hrs to cut all areas including daily maintenance on the machine a week. 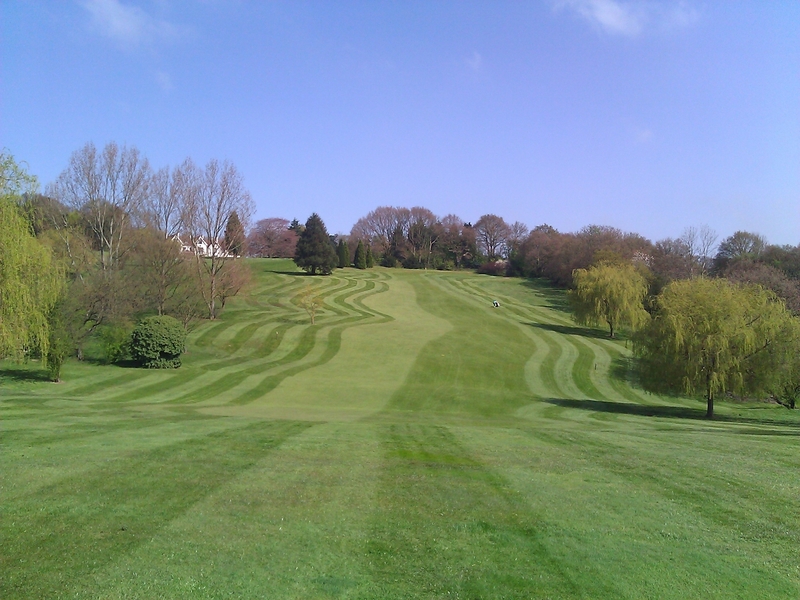 As the growth of the grass reduces due to evaporation as temperature rises will we truly keep up with presentation. First cut of the summer diamond pattern on the fairways. Home time, 4 fairways left for Friday. 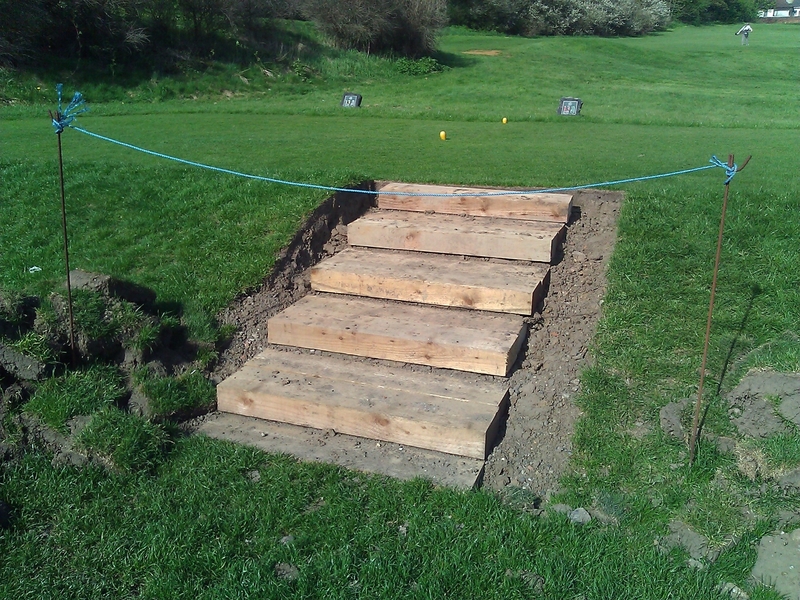 New steps are currently being installed on the 13th red/yellow tee. 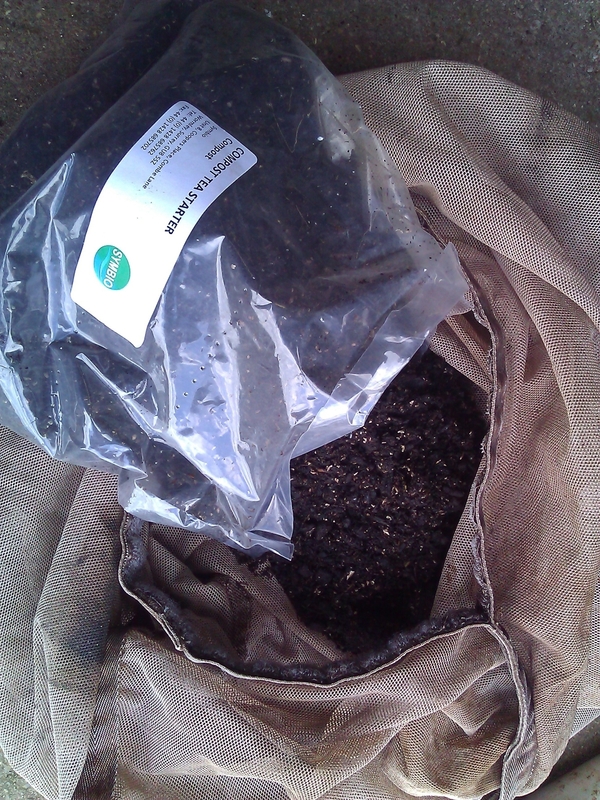 We started using compost teas last year to great effect which in turn reduced our fertiliser and fungicide applications on the greens. 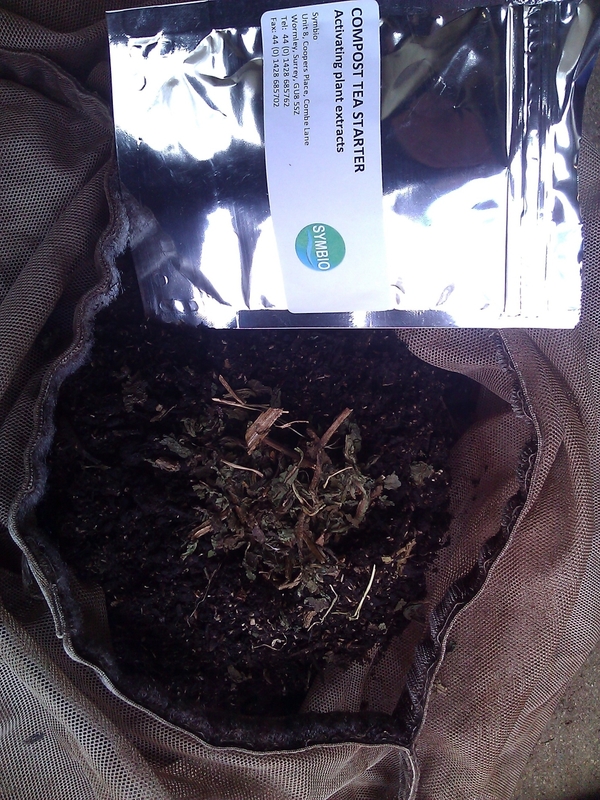 This involves brewing various beneficial fungi and bacteria which are then sprayed over the greens. 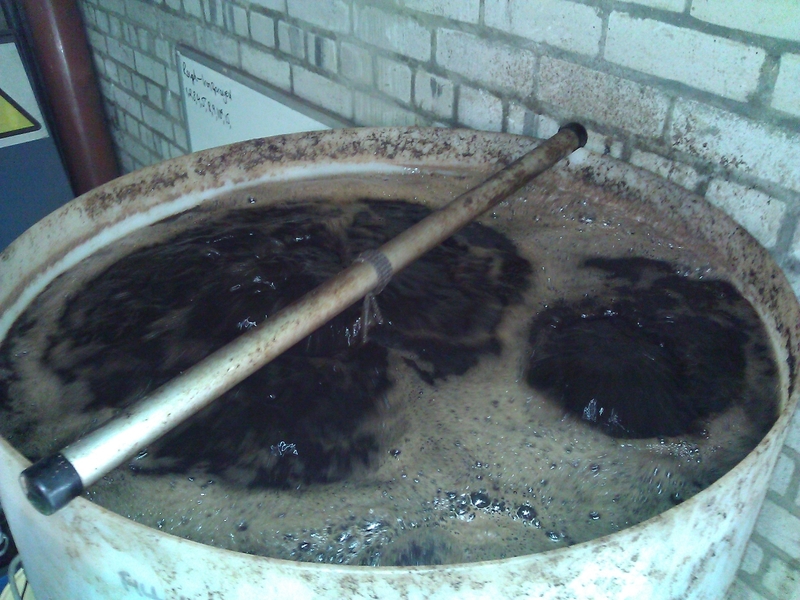 The brewer holds 200lt of water and brewed for 20hrs for beneficial fungi and then rebrewed for another 20hrs for beneficial bacteria. 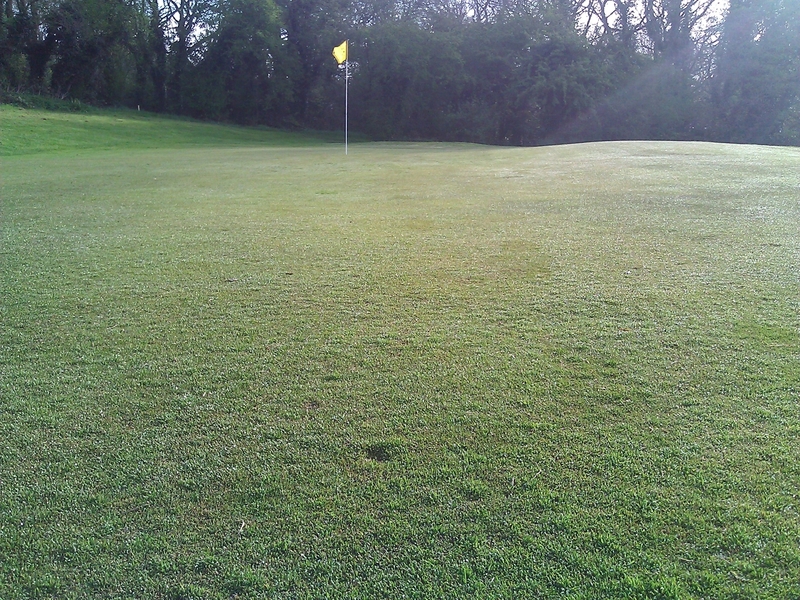 Pitchmarks seem to be on the increase this week please repair your own plus one other. Thank you. 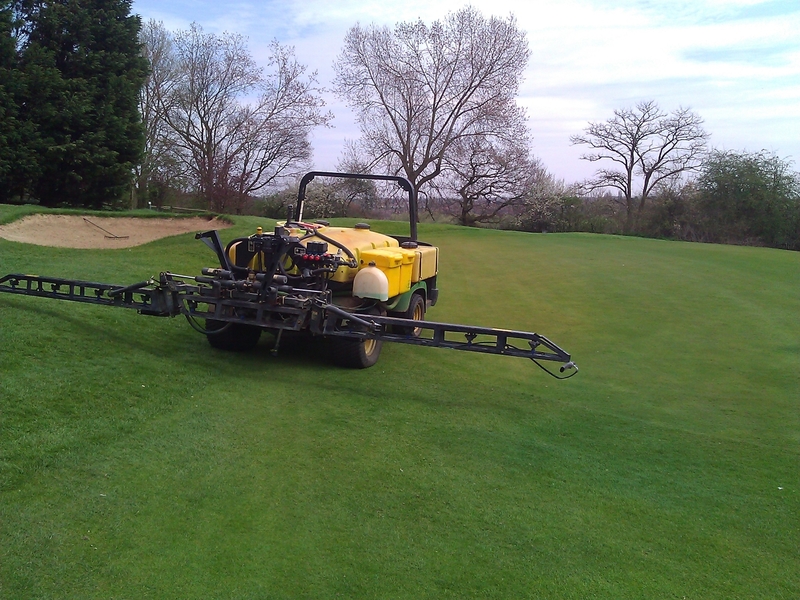 Greens sprayed with a liquid fertiliser today to strengthen the plant, improve colour, growth and to lower Ph of the topdressing which will reduce any chance of diseases. Contents of the spray included 2·5kg of ammonium sulphate, 6kg of potassium, 15lt 7% of iron sulphate/4% Magnesium and 3lt of liquid aeration. Over fertilising at this stage to improve recovery from the renovation will encourage thatch, diseases, weaken the plant and provide to much growth. All the air we have provided in the greens from the renovation will stimulate the fungi/bacteria which in turn will degrade any thatch or fibre and stimulate root growth and recovery. 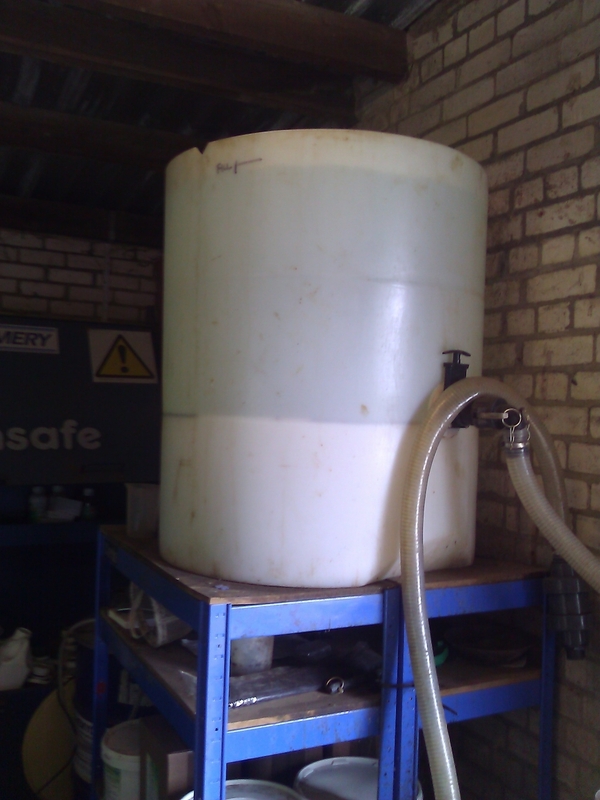 Next week a compost tea will be sprayed containing special fungi and bacteria. 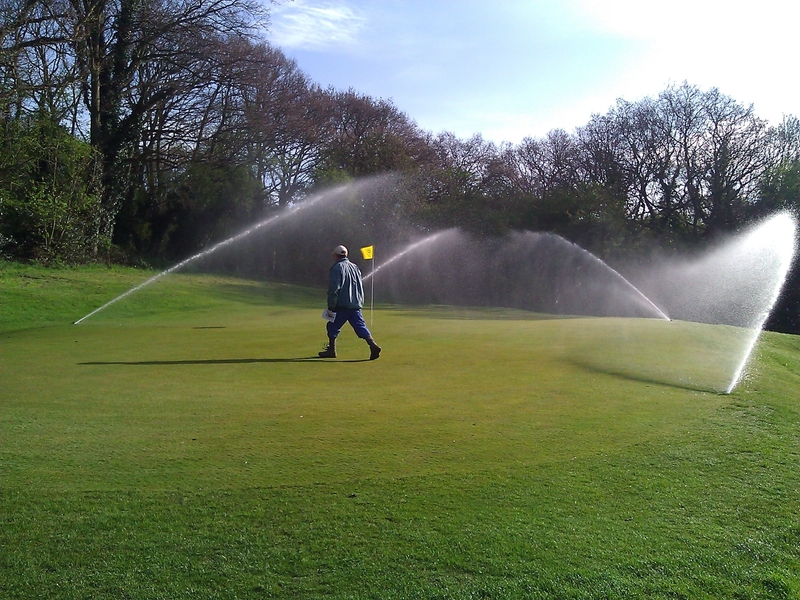 The irrigation system is currently being filled and primed ready for use and will be tested on Wednesday morning of the 24th April and will be used on Wednesday night. 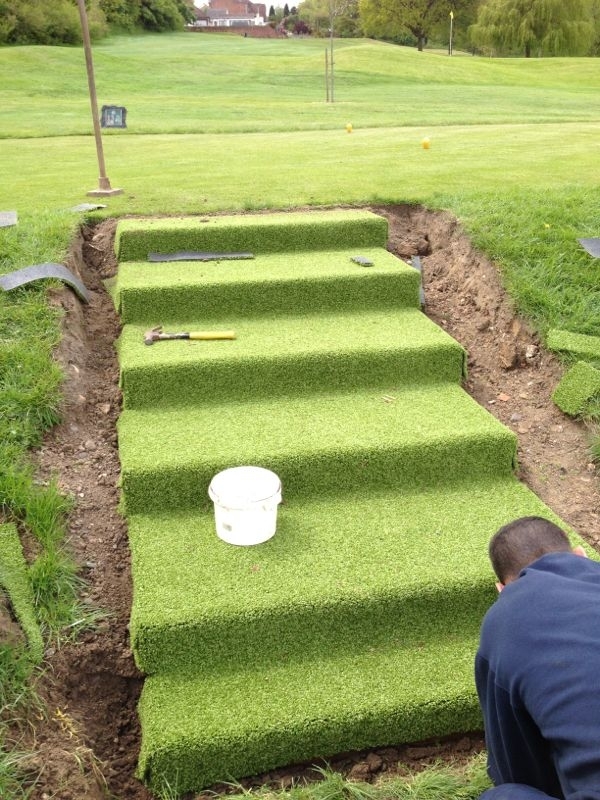 All areas will be tested which includes greens, tees, aprons and fairways.